∫ Vinny Michaels Band: Sport Island Pub, 108 Riverside Blvd., Northville, 9 a.m. $10 cover includes breakfast. ∫ Steve Cowles: Sport Island Pub and Restaurant, 108 Riverside Blvd., Northville, 2 p.m. No Cover. 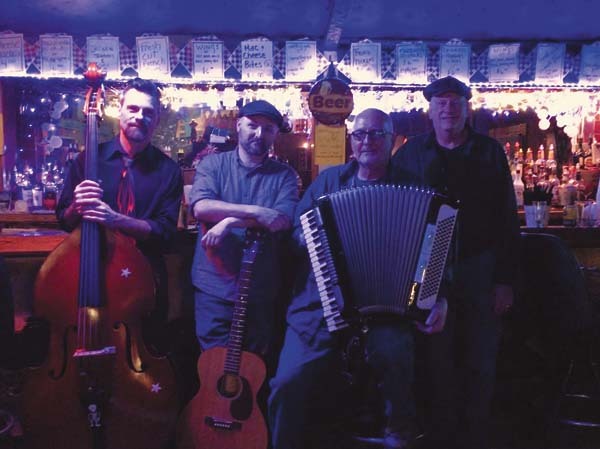 ∫ The Northville Doins will be held this weekend at the Waterfront park in the village. The park will host a variety of rides, games, vendors and food booths. At 1 p.m. on Saturday, the annual July 4 parade will be held on Main Street. ∫ Fireworks will be held during the Northville Doins celebration at 9 p.m.
∫ Canada Lake fireworks will be held at 9:30 p.m. at the Canada Lakes Conservation Association from Nick Stoner Island on Canada Lake. ∫ Sport Island Pub, 108 Riverside Blvd. Northville, will host a fireworks display over the Great Sacandaga Lake, at 9 p.m.
∫ Music and Motion sing-along: Gloversville Public Library, 34 W. Fulton St., Gloversville, 10:30 a.m.
∫ Spelunking and cave exploring presentation: Gloversville Public Library, 34 W. Fulton St., Gloversville, 5:30 p.m. This is a free family event. ∫ Wildlife Sports Education Museum, Route 30, Vail Mills, open from 10:30 a.m. to 4:30 p.m. daily June 15-Sept. 3. Admission: $10 for adults; $5 for youths. ∫ Steve Cowles: Lakeside Tavern and Marina, 306 Woods Hollow Road, Gloversville, 6 p.m. No cover. ∫ Malcolm Kogut, Byron Nilsson and Tess McCarthy — An Evening of Gershwin: The Revival, 1441 Route 30, Wells, 7:30 p.m. $10 donation at the door; free for under age 12. Refreshments. ∫ Doc Orloff Blues Elixir: Backyard bar at Pine Lake Lodge, 1050 Route 10, Caroga Lake, 8 p.m.
∫ Linda Lee and the Fox Creek Band: Village marina, St. Johnsville, 6:30 to 8:30 p.m. Free to public. ∫ Amsterdam Rec Summer Camp will begin on Monday and run through Aug. 17. The camp runs from 8 a.m. to 3 p.m. at the Bacon Youth Center, 40 Henrietta Blvd. The camp is for children who are kindergarten age and up and features a free breakfast and lunch, weekly pool visits, arts and crafts, sports training, field trips, team building, nutritional education with Cornell Cooperative Extension and Adventure based learning with HFM Prevention Council. The prices for summer camp are the same as last year: $25 per child per day, $75 per child per week, $120 per family per week. For additional information please contact Danielle Whelly at dwhelly@amsterdamny.gov or (518) 841-4369. ∫ Foothills Family Productions presents “Seussical Jr.”: Fulton-Montgomery Community College Theatre, Johnstown, 7 p.m. Tickets are $12 for adults; $5 for children. For tickets, call Foothills Family Productions at (518) 224-1083. Tickets will also be sold at the door. ∫ Foothills Family Productions presents “Seussical Jr.”: Fulton-Montgomery Community College Theatre, Johnstown, 7 p.m. Tickets are $12 for adults; $5 for children. For tickets, call Foothills Family Productions at (518) 224-1083.